We are doing everything to have the Georgian national flag raised in NATO and the European Union, Georgian Parliamentary Speaker Irakli Kobakhidze said at yesterday’s reception dedicated to the National Flag Day, Agenda reports. 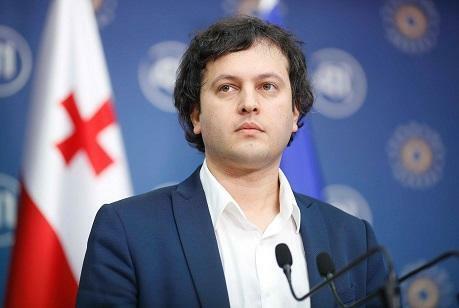 Congratulating everyone with this special day, Kobakhidze said Georgia should return to its historic European family. I want to thank everyone who has introduced Georgia and its main national symbol to the rest of the world… I wish we would have more and more opportunities to raise the Georgian flag with pride," Kobakhidze said, stressing that the Georgian flag is known and respected around the world. Explaining that the Georgian flag is one of the most ancient in the world, Kobakhidze said a lot of time and effort was put in restoring the current national flag on January 14, 2004. Today Georgia marks National Flag Day that is also known as the Five Cross Flag of Georgia. The Georgian national flag has been festively raised in different regions of Georgia. Citizens were also encouraged to raise symbolic flags out of their windows to join the national celebration.